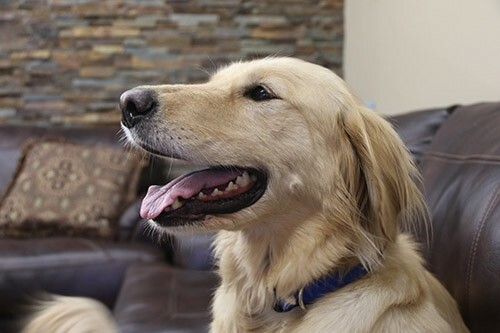 Part of being a pet parent is to be aware of your pet’s body, condition, and habits, so you can recognize sudden changes in health or behavior. Dogs and Cats are creatures of habit and enjoy familiar routines. For example, changes in the environment, the addition of children or other pets to the home can disrupt their routines and cause stress. 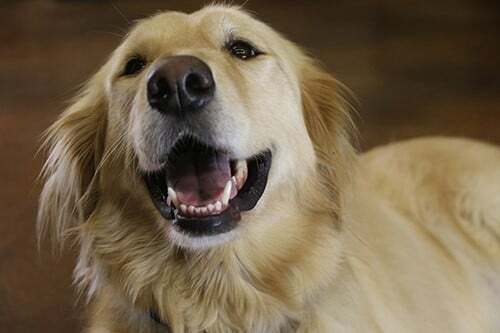 Your pet also observes your own behavior and may be sensitive to stress and noise. Changes in a living environment such as moving, renovation, or travel can also cause stress. As part of a healthy life, spend time regularly with your dog or cat by rubbing their body, head-to-tail so you are familiar with their condition. Look for any new bumps or lumps, ticks, fleas, scabs, hot-spots, etc. If you notice that your pet is itching, or chewing their paws more frequently, it is especially important to inspect their body for notable changes. Groom your pet regularly. 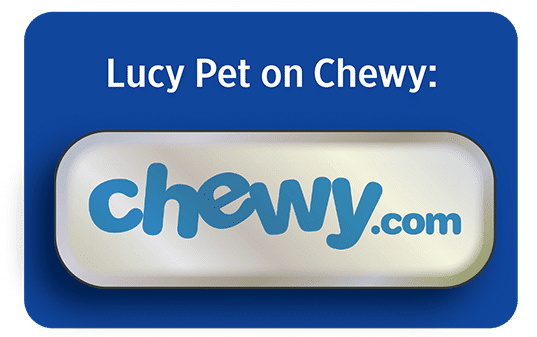 Bathe your pet in our Lucy Pet Shampoos and Conditioning Sprays, and visit a professional groomer regularly. Part of having a pet is cleaning up after them. Whether you pick up your dog’s poop in the yard, or on a walk, or scoop your cat’s litter box, you will become familiar with your pet’s normal bowel movements and routines. It is important to know what your pet’s poop looks and smells like normally so that you’ll be immediately aware of any changes in frequency, consistency, size, color, or smell. If you have a cat, we recommend having a minimum of one litter box per cat and scoop daily to remove feces and solid clumps. 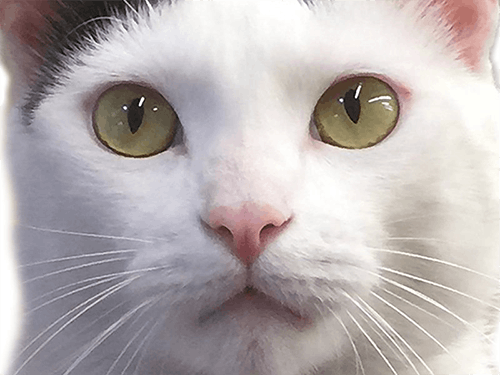 Use a high-quality clumping litter such as Lucy Pet’s Cats Incredible. 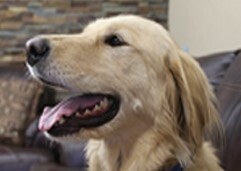 Always see your veterinarian regularly for health check-ups and consult the vet when you see sudden changes in health. Eyes: Should be clear, bright and alert, no discharge. Ears: Depending on the breed, most will be clear, pink and free of any dark colored discharge. Coat: Varies by breed, but should be soft and glossy. Skin: Should be firm, smooth and pliable, not dry or flaking. Teeth: Should be white, no tartar. Gums should be pink. Paws: Should not be cracked or bleeding. Poop: Your pet should have regular bowel movements. Dogs maybe 1-2 times a day and cats 1-3 times per day. Stool should be moist and firm and have a mild odor. Color should generally be a chocolate brown color. If you occasionally feed some treats or fresh vegetables, these may temporarily affect stool color. 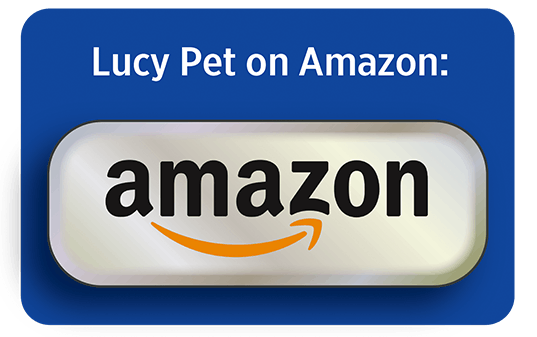 For Cats: We recommend Lucy Pet’s Cats Incredible litter because it has patent-pending technology that stops ammonia from forming in the litter box. Since ammonia exposure can be dangerous to cats and people, you can eliminate the exposure to ammonia by using Cats Incredible litter. For more information about Cats Incredible, click here. Eyes: Runny, teary, or frequent discharge. Ears: Excessive dark color discharge or strong odor. Coat: Dull coat, excessive shedding. Skin: Dry, flaking, excessive itching, inflammation, scabs, or hot spots. Teeth: Dark tartar build-up. Dark red or bleeding gums. Poop: Excessively soft, loose, irregular or runny stool. Infrequent bowel movements. Yellow, black, red, or any unusual color.